For the past weeks, we have posted numerous photos showing the upcoming BMW 3 Series Sedan(E90) facelift, but none of them were as revealing as the ones we have received this morning from our friend Hans, at Autoholic.de. 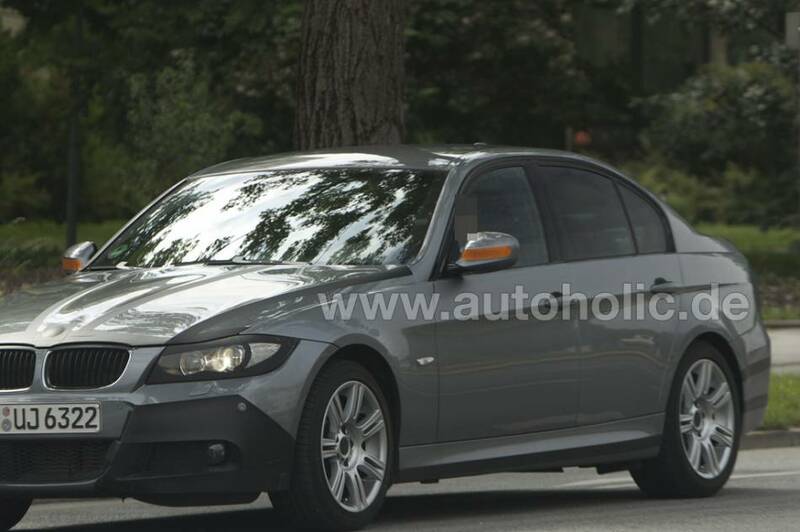 The 2009 BMW 3 Series facelifted sedan was spotted in Munich, of course, and to our surprise, the front-end was missing the typical heavy BMW camouflage. As mentioned before, the 3 Series sedan will suffer minor modifications to the front headlights. Also, the hood will get a different shape than the one found in the current models and it does seem to bring the 3 series sedan to a more sporty look. Overall, not a bad improvement, but I am more curious to see how the rear-end will look like, to see exactly what choice BMW has made when it comes to the taillights. Previous post Spy Photos: BMW X1 or maybe the V3 crossover?